Near the state’s capital, Carmichael is a wonderful addition to the Northern California area providing culture and history. Every technician from Carmichael will provide prompt, friendly, and neighborly service. They’ll be quick but thorough and leave no mess behind once the stairlift is installed. How Well Do You Know Carmichael? The population of Carmichael is roughly 62,000, and the suburb is one of the most popular in the Greater Sacramento area. Essentially established as a Mexican land-grant colony by American Daniel W. Carmichael in the 1880s, the city is one of the oldest in the area. The area initially consisted of one 2,000 and one 1,000-acre lots of land just northwest of Sacramento, and once the state of California was lost to the United States during the Mexican-American War, the area surrounding Carmichael and Sacramento was flooded with settlers from the East Coast. The city was officially established in 1909. Many of Carmichael’s residents are employed by the city or state, as well as companies and organizations such as Intel, Dignity Health, and the San Juan Unified School District. 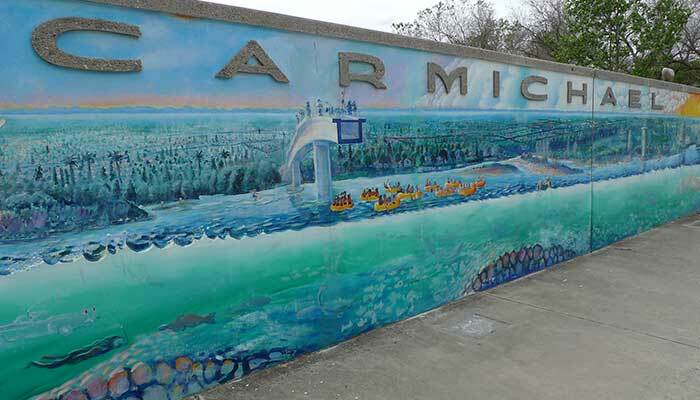 Carmichael is one of the area’s most desirable cities, and the average home price is around $414,000, making the suburb one of the most affordable in the area. This is considerably lower than many California cities, such as San Francisco and Los Angeles, and many residents choose to settle in Carmichael due to its reasonable cost of living and mild climate. The median household income is approximately $47,000. Ancil Hoffman Park – Located within the American River Parkway, the Ancil Hoffman Park sits on 396 acres. The large expanse of land features a nature center, reconstructed American-Indian homes, and canopies. Famous for its wildlife, the park allows visitors to catch glimpses of deer, coyotes, and wild turkeys. American River Parkway – Stretching 28 miles along the county’s gorgeous American River, the parkway is lined with numerous smaller parks and boating areas. Carmichael Park – Set on 38 beautiful acres, Carmichael Park features a nine-hole golf course, tennis courts, and multiple ball fields. There is a Community Clubhouse and performing arts pavilion on the grounds. The Park also hosts a farmer’s market every Sunday. Chautauqua Playhouse – One of the city’s most popular performing arts venues, the Chautauqua Playhouse hosts numerous musicals, dramas, and comedic shows. It is located within the La Sierra Community Center. The city also houses many other botanical gardens, biking trails, and parks.